The truth is not so great for Face the Truth. Deadline reports the syndicated TV show has been cancelled after only one season. Led by Vivica A. Fox, the daytime talk show “featured real people presenting their problems big and small to the panel in search of solutions.” The panel included attorney Areva Martin, psychologist Dr. Judy Ho, actress Rosie Mercado, and Judge Mary Chrzanowski. What do you think? Did you ever see Face the Truth? Would you have watched a second season? More about: Face the Truth, Face the Truth: canceled or renewed?, Syndicated TV shows: canceled or renewed? Yes I would!! Not sure why a show that’s helped so many people is cancelled!! Yes! I would watch the second season! I am absolutely devastated by this news. I truly enjoyed watching vivica a.fox and the panel. 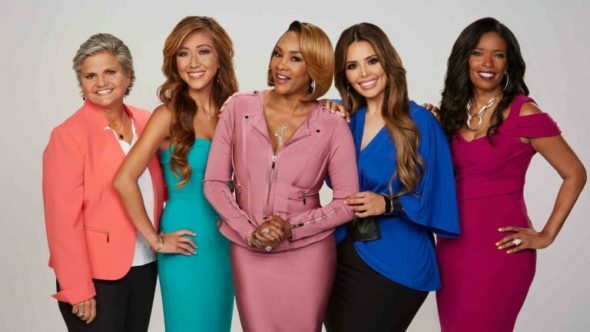 I love everything about this self expressive with solution show.. so I gave Vivica a chance in watching her show now you’re gonna take it away.. Everything was good on this show.. I was building up the nerve to call the show but it’s too late now. Yes, I would watch the show if it were renewed. The topics are interesting. SO UNFORTUNATE!!! I really enjoyed watching Face The Truth. It was a very helpful show and was really helping people. I don”t understand why Dr. Phil cancelled the show and “usually” a reason is provided when in general shows are cancelled. FTT did not have the right mix of Guests a lot of the issues were Trivial.